The Freight Transport Association (FTA) is calling for increased government support in the delivery of more apprenticeship programmes across the logistics profession. Attracting more young people into the sector is one of the biggest challenges facing the industry at present and therefore any support that can be garnered to develop new apprenticeship programmes would be welcome and well-received. Official estimates are that the UK logistics industry is currently facing a shortage of 60,000 qualified drivers and this figure is predicted to increase in the coming years if steps are not now taken to address this problem. 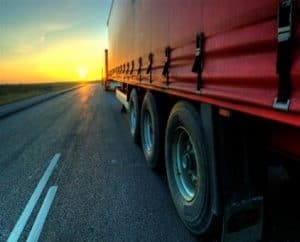 As such, the FTA has included its own calls for aid in its latest submission to the Transport Select Committee regarding skills and workforce planning across the UK logistics sector. FTA head of national and regional policy Christopher Snelling stated: "The government needs to take urgent action to help the logistics industry tackle the driver shortage and attract younger people to the industry. "Effective logistics are vital to the UK economy and it is vital that these issues are addressed before we reach crisis point." As part of the moves to increase driver numbers and new entrants into the profession in the years ahead, the FTA is also calling on the government to expand the existing 24+ Advanced Learning Loan to enable financial support to be provided for all those aiming to acquire a licence to operate heavy goods vehicles. At present, the high costs of training are seen as a hindrance to attracting new apprentices and this is something the FTA would therefore like to see addressed in the near future.